Our compact stations are easy to install and feature a rugged and compact processing. 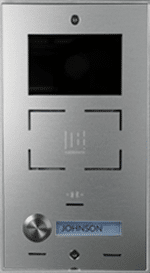 The various models offer a first-class sound, high quality aluminum surfaces and the latest VoIP technology. They are flexibly integrated and feature the highest operating comfort. Due to the integrated IP video wide angle camera with 110° or HD camera. 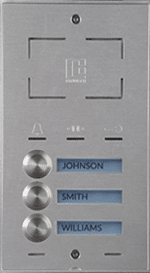 Owing to a vandalism protected stainless steel central call button and sturdy design. 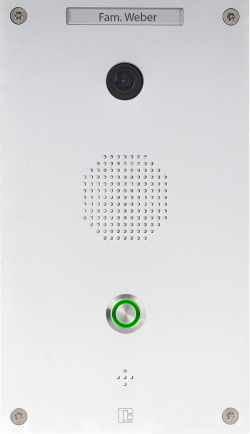 Compact SIP-door station with a solid aluminium front plate, an Audio-DSP-Chip for echo cancellation and one button. 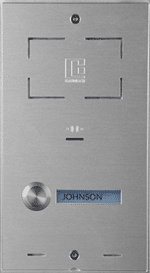 Inclusive an universal housing for on-wall or flusch-mounting and a mounting accessories Network-Jack-Kit. 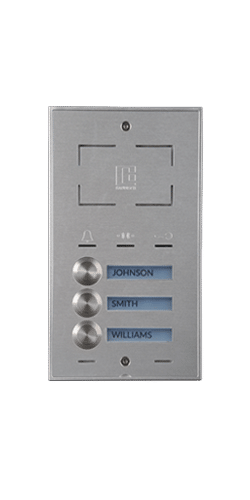 Compact SIP-door station with a solid aluminium front plate, an Audio-DSP-Chip for echo cancellation and three buttons. 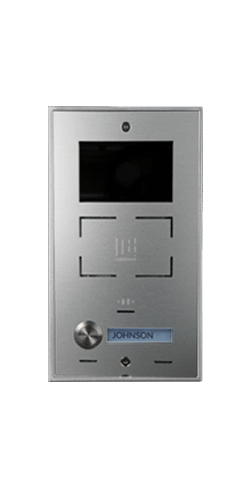 Compact SIP-door station with a solid aluminium front plate, a wide angle camera, an Audio-DSP-Chip for echo cancellation and one button. 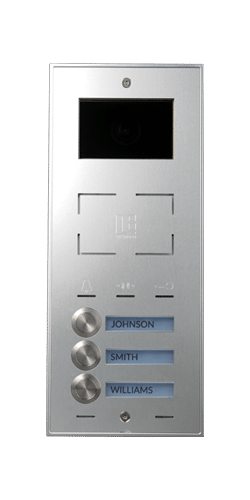 Compact SIP-door station with a solid aluminium front plate, a wide angle camera, an Audio-DSP-Chip for echo cancellation and three buttons. 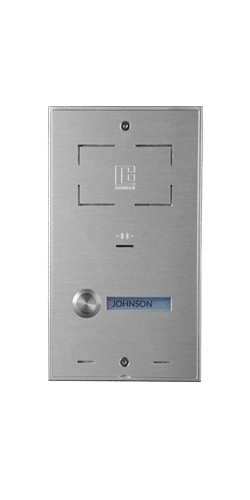 This compact door station with integrated wide angle camera (110°) is easy to install and is a entry model with an attractive price. The wheater resistant aluminium front is giving a fine and qualitiy appearance. You like to have a detailed image? The Compact Classic AHD is exactly what you need. With the integrated HDTV picture quality you always have the best image quality.